How Do We Make Sense of the Thesis “Bai (White) Ma (Horse) Fei (Is Not) Ma (Horse)”? In this article, I introduce a new interpretation of the puzzling thesis “bai 白 (white) ma 馬 (horse) fei 非 (is not) ma 馬 (horse)” argued by Gongsun Long 公孫龍 in his essay “On White Horse (Bai Ma Lun 白馬論).” I argue that previous interpretations, which can be grouped under the name of “attribute-object interpretations,” are not satisfactory, and that the thesis on the new interpretation is not about attributes or objects, but about names. 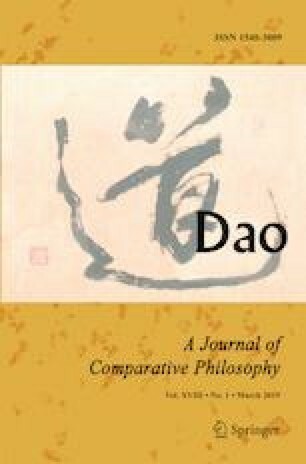 My argument focuses on the disagreement over inseparability of white (shou bai zhi zheng 守白之爭) between Gongsun Long and his interlocutor in the text of “On White Horse.” On my interpretation or the name interpretation, the disagreement is about whether constituents of a syntactically complex or multi-term name are separable or have their contextually independent meanings. Gongsun Long’s thesis makes perfect sense on my interpretation, and is supported by the text and other preserved texts collected in GongsunLong Zi 公孫龍子. The name interpretation can also make sense of some puzzling expressions of sophists in the classic period. My sincere thanks to the two anonymous reviewers of this journal for their thoughtful and detailed comments on an earlier version of this article. Margolis, Eric, and Stephen Laurence. 2011. “Concepts.” In The Stanford Encyclopedia of Philosophy, edited by Edward N. Zelta. https://plato.stanford.edu/cgi-bin/encyclopedia/archinfo.cgi?entry=concepts (last accessed on February 19, 2019).